If you have been able to live today doing something proactively for someone, which cannot be repaid to you, then you have led a meaningful day. 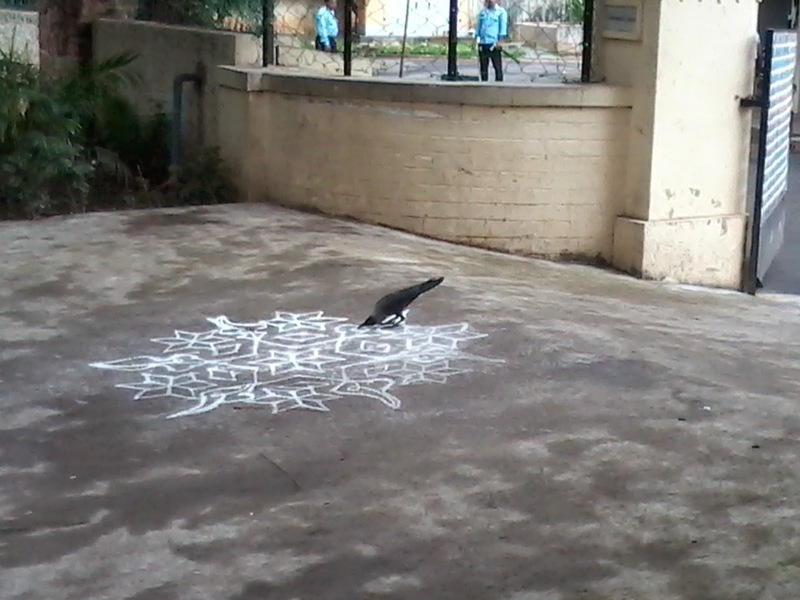 And so, this morning, I learnt the value of the ritual of drawing a kolam with rice powder. Most people of today’s generation have given up on this practice as they perhaps find it boring or irrelevant or both. But this is a practice, as I understand it now, that sows the seeds of compassion early on and helps you to not just think for yourself but to think for the entire ecosystem. To be compassionate is to do something meaningful, proactively, selflessly, in such a manner that it can never be repaid to you. Compassion is when the love within you – for creation, for the Universe, for all beings – overflows. Even if you can’t do anything physical for anyone, just sending them positive energy is compassion. Being compassionate in these times needs more intent than just reason. And our compassion is urgently required to make this world a better place. There’s something compassionate you and I can do today, right now, apart from possibly drawing a rice powder kolam outside our homes – we can send positive energy and a long distance hug to all those parents and families in Peshawar who lost their children in yesterday’s dastardly Taliban attack. If misplaced passion, as in the case of the Taliban, can continue to cause destruction, our compassion can and will heal the world!